There was once an Accountant named Graeme who decided not to have any children because they cost, according to his calculations, approximately $250,000 per child to raise. Graeme clearly looked at children as an expense as opposed to an investment. 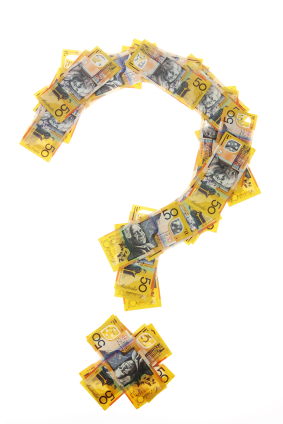 The question is – what do you get for your $250,000? To paraphrase the Beatles song, money can’t buy you love. In the case of kids, yes, part of the dream is that we feed them, bath them, house them, all costing money, in the return for a bit of love. If you would like to develop patience, just add kids, particularly little ones. If you already have kids and think that you are less patient now than you used to be, think again. You probably just didn’t really test out your patience thresholds when you were footloose and fancy free. When your kids get a bit older, if you’re hungry, and cash is a bit tight, just invite yourself over to your kids place for lunch. If you need an excuse, just make one up – today is the anniversary of long lost Auntie Thelma. Turn up empty-handed and 'empty-walleted' and clean out the fridge. This is called Karma, and provides a genuine financial return (or at least a reimbursement). Who needs to go to the movies when you can watch your kids grow up? You get it all, romance, comedy, horror, violence, action, sports, and depending on your kids imagination, sci-fi. Please note: There may be an increase in movie spend should this be a favoured past time of your kids. May be worth recommending other pasttimes. As you get on, you may find that your friends aren’t visiting as much as they used to. Perhaps they are getting busier with their families, or just getting a little less mobile. When we look around, you’ll often find that it’s your kids that provide the company as much as your friends down the road. On that note, just like a property, or shares, you need to throw some money at raising your kids before you can get a return. If you give them little you may just get little in return, if you give them ample, you get ample, and if you give them stacks, you will probably over-capitalise and end up with a well educated yet unmotivated lounge lizard. Finding the balance between helping out, and letting your kids work things out for themselves, is the personal decision of every parent. In all seriousness, raising kids comes with both personal and financial responsibilities. For those entering the world of parenthood, use this checklist to be confident that you are well organised for the trials and tribulations of being a Mum or Dad. Read a short article on getting a headstart on saving for future expenses of raising children. Watch these insightful yet entertaining videos – Dad’s Life and Mum’s Life.